Xs and Os battles are what make the playoffs special. A survey of some of the tactical skirmishes that have taken place so far. The Nets' offense was so effective in Game 1 because of their ability to attack the rim. To bounce back, Philadelphia will have to rely more on their off ball help. The stats that will determine three of the Western Conference’s first round matchups. The Sixers employed a very effective counter to the Bucks' defense in last week's matchup. How it worked—and where there's still room to grow. Steve Clifford has once again completely turned around a team's defense in his first season. But why did it take so long for things to click this year, and what is behind Orlando's recent defensive surge? There aren't many questions about Deandre Ayton's physical ability. But does he have the basketball instincts to use that athleticism properly? You learn very quickly when you start scouting the draft that there are no perfect prospects. All young players have something that makes you pause: holes in their game, or questions about health or mental makeup. The challenge — and the fun — of scouting is trying to determine which flaws matter and which are less concerning. Last week I wrote about how Luka Doncic is probably the best international prospect in draft history, with a skill package and basketball intellect as high as any 18-year-old we’ve seen in a long time. But I also noted that when you dig into the film, you find real questions surrounding certain aspects of his physical ability and athletic ceiling: his ability to separate from defenders and elevate to finish around the basket may limit his ability to become an NBA superstar. Deandre Ayton, another player discussed as a potential #1 overall selection, is a great counterpoint to Doncic. 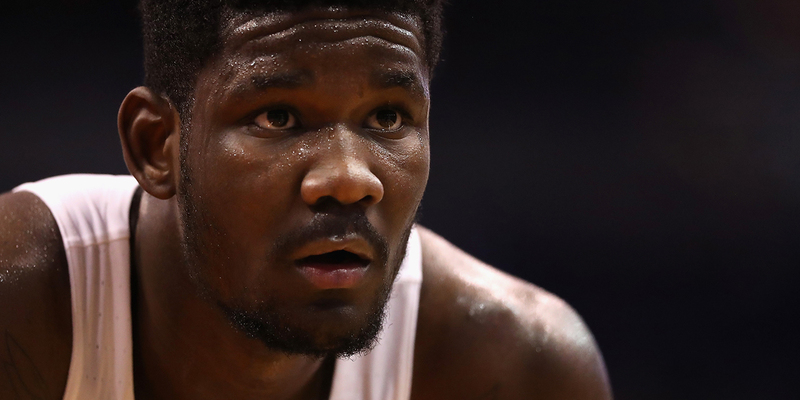 While Doncic excels because of basketball intellect despite some athletic limitations, Ayton dominates with his body — but does not yet have the basketball mind to match. Ayton checks basically every box from a physical standpoint: already, at the age of 19, he has the size and strength of an NBA center, with nimble feet, lateral quickness for his size, and easy lift off the floor. That combination, along with touch nice touch both around the rim and on midrange jumpers, gives him a ceiling as high as anyone. It’s not hard to imagine him as a dominant, two-way presence. And yet there’s something missing. Ayton seems to lack an instinct for the game, that vague yet still tangible quality that scouts describe as “feel”.